Organically grown basil seed. 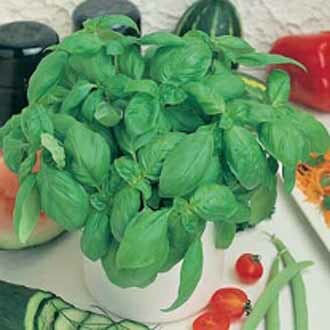 Produces large, delicious leaves with the classic sweet basil taste. Great with pasta and tomato dishes or added to salads.